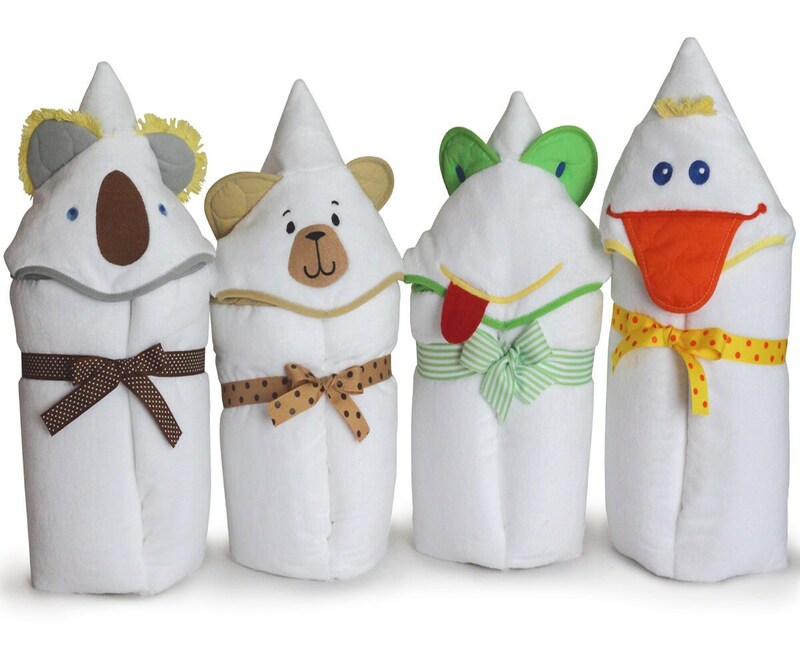 There's much to love about Fuzzy Wuzzy Animal Ultimate Hooded Towels. Choose from Koala, Brown Bear, Frog and Duck. Yes, they're adorable and look fantastic on. Yes, they're incredibly practical, cut oversized (28" x 44") to fit infants and toddlers. Yes, they're made in the USA! Perhaps the most important thing to love is how they feel! That's because they're made from a luxurious 100% cotton "Terry Velour" fabric. No other terry matches this fabric for softness & lushness. It's the same quality used by high-end hotels to make their famously plush bathrobes. Fuzzy Wuzzy Animal Ultimate Hooded Towels can be ordered personalized too! The name will be embroidered on back so it is visible when child is wrapped in towel. Please enter the name in the space provided or the Notes/Comments box during checkout.